One of the crowning jewels of the Central Florida area is the city of Winter Park. 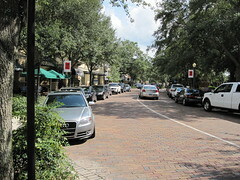 Beautiful boutiques, unforgettable restaurants, and stunning homes fill Winter Park, FL to the brim. 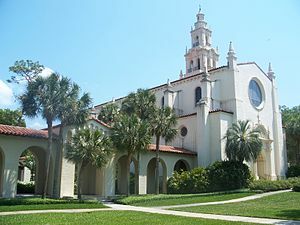 To top it all off, the gorgeous Rollins College campus serves not only as an impressive educational institution but also as a cultural arts beacon. Summer’s final month is upon us, and while there is still plenty of time to soak up the Summer fun, Fall activities wait just around the corner. I recently received some information about the Winter Park Institute’s Fall Schedule – a series of remarkable guest speakers who host discussions at Rollins College. These sessions are free and open to the general public. I am absolutely excited about this series. Each guest speaker is a prominent figure in their respective field. What a fantastic way to usher in the Autumn season! Start your evening in one of the countless cafes along Park Ave before heading over to the beautiful Rollins College to listen and engage in intellectual discussion. Here is the official information about the sessions. I hope you enjoy this information. I, for one, am looking forward to attending myself. Winter Park, Fla. (July 5, 2013) — Celebrating its fifth year of bringing world-renowned intellectuals to the Central Florida community,Rollins College’s Winter Park Institute announces its 2013 fall season. This fall’s headliners include astrophysicist Neil deGrasse Tyson; Nobel Peace Prize winner Elie Wiesel; peace activist Arun Gandhi; and former U.S. Poet Laureate Billy Collins. All events are free and open to the public, and no tickets are required. Parking is available in the SunTrust parking garage at 166 East Lyman Avenue. For more information, visit www.winterparkinstitute.org, call (407) 691-1995 or email winterparkinstitute@rollins.edu. Through appearances on PBS, The Colbert Report and The Daily Show, astrophysicist and Frederick P. Rose Director of Hayden Planetarium Neil deGrasse Tyson makes science accessible for everyone. Peace activist and proponent of non-violence Arun Gandhi carries within himself the same guiding principles as his grandfather, legendary peace-maker and spiritual leader Mahatma Gandhi. Winner of the Nobel Peace Prize in 1986, Elie Wiesel remains an active humanitarian, educator and author of more than 60 books of fiction and non-fiction, including his memoir Night, which has been translated into more than 30 languages and been read by millions since its publication in 1956. Former U.S. Poet Laureate Billy Collins reads from his latest book, Aimless Love: New and Collected Poems (published in the fall 2013). In addition, award-winning documentary filmmaker Ken Burns, former Florida governor Jeb Bush, Sharon Robinson – daughter of baseball legend Jackie Robinson, The Wall Street Journal drama critic and author Terry Teachout, and environmentalist and author Laurie David are slated to speak at the Winter Park Institute in spring 2014. For more information, visit www.WinterParkInstitute.org. Thanks so much for sharing the info about Rollins College’s Winter Park Institute. Looking forward to seeing you at some of the events. Thanks Doreen! 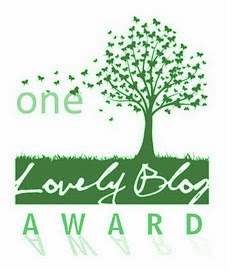 I am happy to share such a unique and enriching activity!